For additional information about the watering restrictions, please call 800-232‑0904. “Microirrigation” means the application of small quantities of water directly on or below the soil surface or plant root zone, usually as discrete drops, tiny streams, or miniature sprays through emitters placed along the water delivery pipes (laterals). Microirrigation encompasses a number of methods or concepts, including drip, subsurface, microbubbler and micro-spray irrigation, previously known as trickle irrigation, low volume or, low-flow irrigation. During daylight saving time (second Sunday in March until the first Sunday in November) irrigation is limited to no more than two days per week on scheduled days. Irrigation is limited to no more than ¾ inch of water per zone per irrigation day. Irrigation is limited to no more than one hour per irrigation zone per irrigation day. Irrigation is limited to only that amount necessary to meet landscape needs. When reclaimed water is available for irrigation use, the use of private irrigation wells is not authorized. Irrigation limitations apply to all landscape irrigation not currently regulated by a consumptive use permit. Typically, this includes residential, commercial and industrial establishments. Persons irrigating with an automatic lawn irrigation system installed after May 1991 shall install, maintain and operate a rain sensor device or switch that overrides the system when adequate rainfall has occurred. Irrigation using a micro-spray, micro-jet, drip or bubbler irrigation system is allowed anytime. Watering in of chemicals, including insecticides, pesticides, fertilizers, fungicides and herbicides when required by law, the manufacturer, or best management practices, is allowed anytime within 24 hours of application. Watering in of chemicals may not exceed ¼ inch of water per application except as otherwise required by law, the manufacturer, or best management practices. Irrigation systems may be operated anytime for maintenance and repair purposes, not to exceed 20 minutes per hour per zone. Irrigation using a hand-held hose equipped with a spray nozzle that can be adjusted so water flows only as needed is allowed anytime. The use of water from a reclaimed water system is allowed anytime. A reclaimed water system includes systems in which the primary source is reclaimed water, which may or may not be supplemented from another source during peak demand periods. All of Orange County is to follow the St. Johns restrictions. 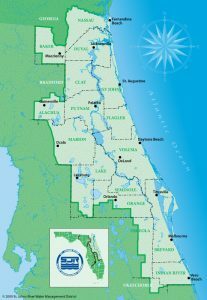 The only exception is Reedy Creek, which will follow the South Florida Water Management District’s restrictions. 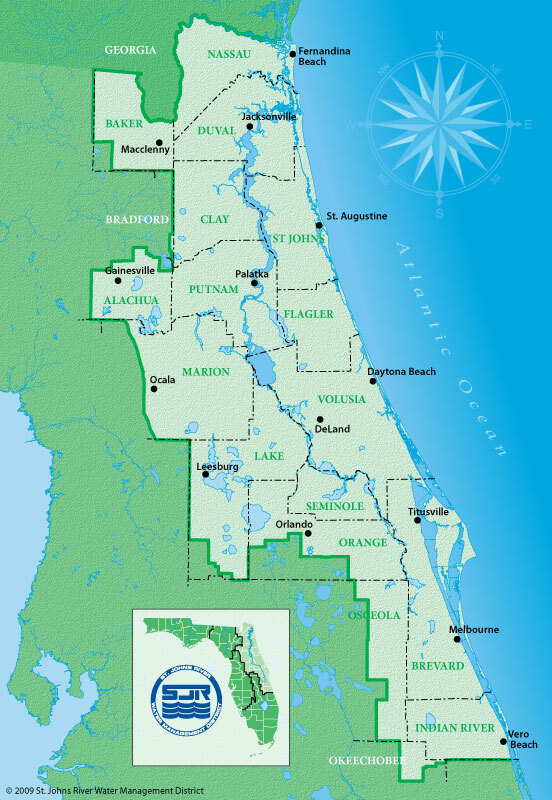 All of Marion County, including the city of Ocala, is to follow the St. Johns restrictions. The only exceptions are The Villages and the city of Dunnellon, which should follow restrictions of the Southwest Florida Water Management District.